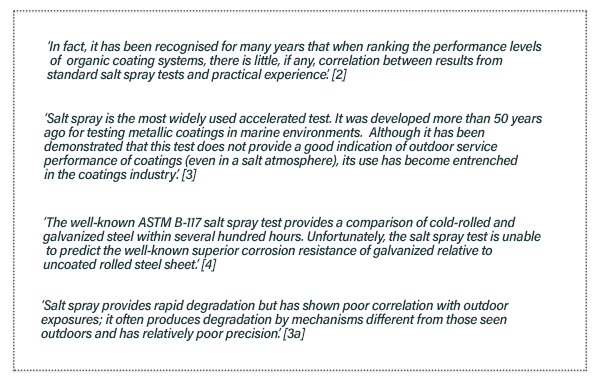 The use of salt spray test results to guide selection of protective coatings for steel remains a serious problem in the engineering community. Despite the well understood limitations of the test in the ‘corrosion world’, it is still used to promote the use of coatings whose properties happen to produce apparently favourable results. It is hoped that this article has given some insight into the scientific background to the limitations of this type of accelerated testing. Regardless of the attractiveness of quick and short-term information, there is no substitute for corrosion data generated from long-term exposure testing and case history information from real structures or components in service. For users of protective coatings in the construction, manufacturing or engineering industry, there is one aspect of corrosion science that requires careful understanding – that is the role and limitations of accelerated corrosion testing. For decades, the so-called ‘salt spray test’ has generated misleading information about coating performance and its results still feature prominently in the marketing materials of products that, artificially, yield more favourable outcomes than in the real world. Firstly, the test does have some value for quality control of a specific material or coating. This is what the test was originally designed for and it is used successfully by some industries for this purpose. Although, it is now largely abandoned even by the automotive industry. The serious misuse of the ‘salt spray test’ is its use to compare, or rank, different materials or coatings that have differing characteristics. It is especially misleading to use the test to compare paints with metallic coatings. It is equally misleading to compare different metallic coatings. For example, comparisons between zinc and zinc alloy coatings (such as those containing small additions of magnesium and aluminium) can produce comparative results that are vastly different to real in-field performance. Unfortunately, material comparisons are still made using the test despite the international standard for the test (ISO 9227) clearly stating that ‘There is seldom a direct relation between resistance to the action of salt spray and resistance to corrosion in other media, because several factors influencing the progress of corrosion, such as the formation of protective films, vary greatly with the conditions encountered. Therefore, the test results should not be regarded as a direct guide to the corrosion resistance of the tested metallic materials in all environments where these materials might be used. Unfortunately, despite these warnings, salt spray testing is still used in communications to introduce new coatings and materials to the market. Why does salt spray testing give misleading results? To understand why the ‘salt spray test’ fails to reliably predict real corrosion performance, it is important to look at the test procedure. Samples under test are inserted into a temperature-controlled chamber where a salt-containing solution is sprayed, at 35°C, as a very fine fog mist over the samples. As the spray is continuous, the samples are constantly wet, and therefore, constantly subject to corrosion. Performance is rated by recording the number hours to reach defined levels of surface rusting. Test duration ranges from 24 hours to 1000 hours or more. There are some obvious reasons why the salt spray test does not correlate with real world exposure conditions, in particular: The surface of the test coupons is constantly wet, with no cyclic drying, which does not happen in reality. This prevents metals, such as zinc, from forming a passive film as it would in the field. The chloride content is very high (normally 5% NaCl) resulting in highly accelerated conditions with different acceleration factors for different metals and metal constituents. These are unusual and severe conditions that probably never occur during normal outdoor exposure. It is well accepted that the good performance of metallic zinc coatings in real outdoor conditions relies on drying between periods of wetness. 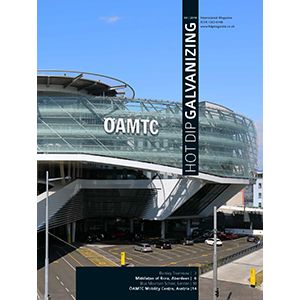 The development of a passive and relatively stable oxide and/or carbonate film during the drying cycle contributes to the excellent performance of galvanized coatings. The continual wetness during the salt spray test does not allow this passive oxide/carbonate layer to develop. The test therefore artificially reduces the performance of zinc coatings. When painted material is evaluated using the salt spray test, there is no exposure to ultraviolet light, a common cause of breakdown of paints. This is a serious omission, since the main failure mechanism that causes painted steel to deteriorate is not included as a condition in the salt spray test. The salt spray test can give similarly misleading results when comparing different variants of zinc coatings. For example, small additions of magnesium or aluminium to a zinc coating will produce salt spray test results that differ significantly from real exposure conditions. Magnesium ions, whether from the environment (sea salt) or in a zinc alloy, promote the formation of protective corrosion products in the presence of sodium chloride, thus reducing corrosion rates. This explains why zinc-magnesium-aluminium coatings show artificially better performance, as compared to zinc, in accelerated tests involving high time of wetness and high chloride load. This effect also occurs in field exposure tests in some, e.g. marine atmospheres but with a substantially lower level of improvement than is indicated by salt spray test results. ISO 9227 ‘Corrosion tests in artificial atmospheres – salt spray tests’. Townsend, H E. ‘Development of an Improved Laboratory Corrosion Test by the Automotive and Steel Industries’, Proceedings of the 4th Annual ESD Advanced Coating Conference, Dearborn, 4 USA, 1994. 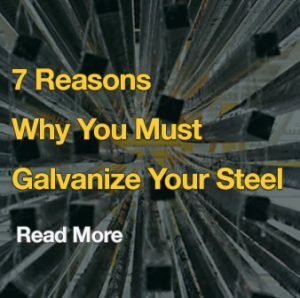 This is an article that appeared in Hot Dip Galvanizing Magazine, Issue 2, 1013, authored by Lena Sjogren of Swerea KIMAB and Murray Cook of EGGA.